I’m not completely sure why this is the case, but a good starting proposition is that anyone who has to watch more than a hundred Canadian features, without giving enough time and energy to considering what’s going on in the rest of the world, is at a great disadvantage (and quite possibly en route to massive multiple organ failure). 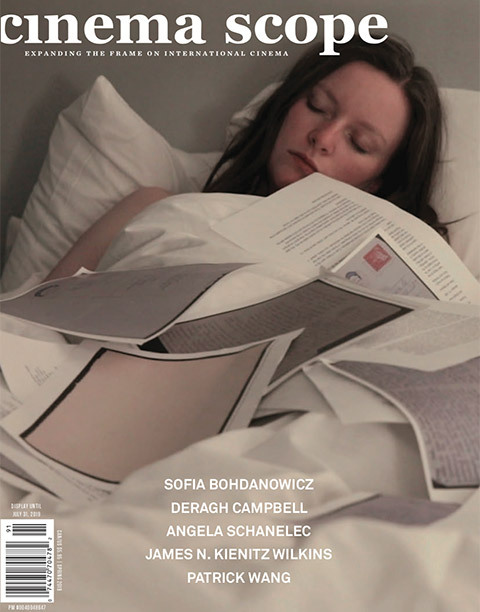 Thus, in this issue, we have a mixture of coverage of Canadian films, some written by Canadians, others by foreigners. Films that will be appreciated and/or hated at home that have won major prizes abroad. Some films that have been rejected by pretty much all major Canadian festivals yet programmed at numerous festivals outside of Canada—I’m not naming names, but you can figure it out. (And let’s not even touch the question of different receptions when it comes to English and French Canada.) But when it comes down to it, I trust the foreigners. It speaks to the point that seems to be preoccupying a certain bored segment of the film world today: the relationship between programming and film criticism. On this point, I’d argue against my general instincts that the two are one and the same and say that when dealing with films made in your own country, a programmer has to be open to the fact that quite often you’re not going to be able to understand how a non-native audience will react to the film or even, sometimes, whether it’s good or bad. 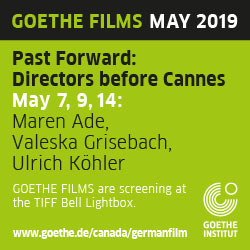 It’s just that hard to step outside our preconceptions regarding what a Canadian cinema should be, or should look like. Maybe it’s something to do with how not only culture but quite specifically language operates. Here I’m talking about the impact of subtitles on critical judgment, which deserves a far greater focus when it comes to film criticism and study. (I’m not sure what’s going on in the academic field; this seems like something they should investigate.) I encourage submissions on this topic, and would be happy to dedicate a special issue of Cinema Scope to the impact of subtitles in the near future. I also encourage all Canadians to make films in Esperanto and present them to Canadian programmers with subtitles.